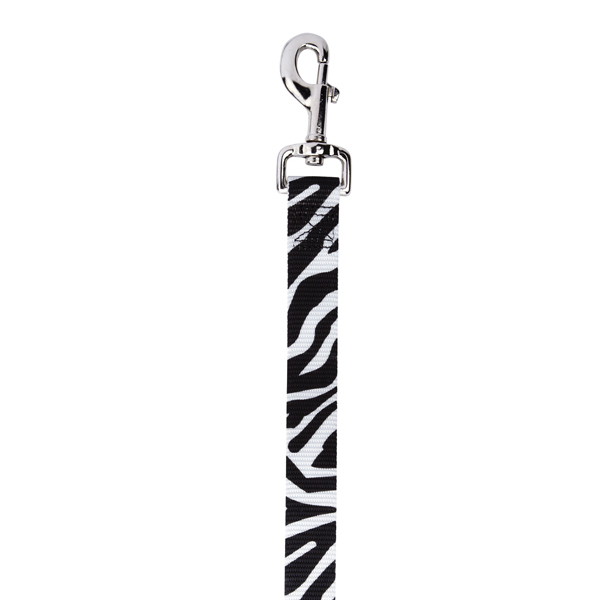 Let your pup take a walk on the wild side with this fashionable and durable Zebra Animal Print Dog Leash by East Side Collection. 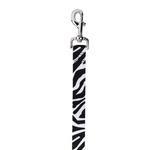 East Side Collection Animal Print Dog Leads are simply wild! Made of strong and durable nylon. Features a zebra pattern with a nickel-plated swivel clip. The perfect accessory for a fashion-forward pooch. Look for our matching Zebra print dog collar, sold separately. Everything I've ordered from Baxter Boo has been exactly what I expected, very good quality and sent in a timely manor always receiving my items sooner than expected. I would not hesitate for a moment to refer others to this web site. Thank You for being there for all pet lovers! Sincerely, Holli T.